A teacher for over 30 years, Jo-Anne has taught in Australia, Indonesia, Japan and Hong Kong across the PYP, using the National Curriculum of England and Wales and the state mandated curriculums of Australia. Having worked as a deputy head and a literacy coordinator she has a deep understanding of how to lead literacy development, as well as how to teach it. Jo-Anne is the co-founder of Get Reading Right and devised Get Reading Right’s Synthetic Phonics, comprehension, guided reading and spelling programs. She is known for her “teacher friendly, no nonsense approach” which inspires teachers to get up and do it. Justin Caban has been a K-6 teacher, Assistant and Deputy Principal in multiple schools throughout Sydney. His expertise is in: the authentic assessment of teaching and learning in school structures, implementation and analysis of student, teacher and whole school data and the development of effective pedagogical practices within teachers. He is also an expert in Synthetic Phonics and Get Reading Right after leading Blaxcell Street Public School in their implementation of the program. 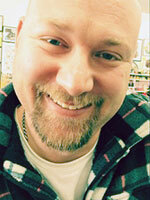 He is currently working as an educational consultant in a range of National Partnership schools throughout Sydney. His primary focus is on improving the literacy performance of all students, with Synthetic Phonics at the core. Shirley works with schools across Western Australia, implementing Get Reading Right to give schools the Synthetic Phonics advantage. Shirley has a Masters degree in Special Education and has been teaching children and training teachers in Australia for 30 years. Always on the lookout for the most effective reading strategies and programs, she came across Get Reading Right in 2010. She implemented it in her work with students in Year 1 and Year 2 who had struggled to make progress in literacy using other programs. The program design captured the interest of students who had experienced failure for years. This resulted in reading levels that exceeded age expectations and those of peers not undertaking the program. Julie has been working in education for over 30 years. As both a teacher and a school leader, she has always been passionate about literacy learning. 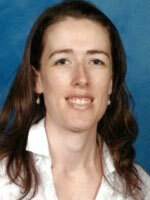 Julie has worked in various education systems including Lutheran, Catholic, public and international education. As a Principal in Hong Kong, she introduced Get Reading Right into her school and witnessed firsthand the improvement it made to the students’ literacy levels. Julie works with schools across Queensland. 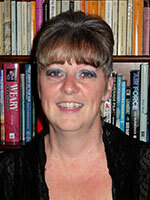 Anne is a New Zealand trained teacher and Phono-Graphix reading therapist. 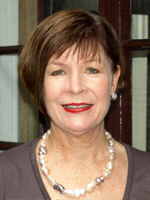 She has over 30 years teaching experience; with 12 in Hong Kong and another 2 teaching EAL in Shanghai. 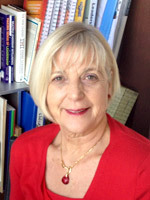 Anne consults and trains in all aspects of literacy with schools in the UK, Philippines, Australia, China and Hong Kong. 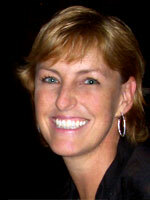 Karen is an experienced teacher specializing in early childhood education. She has been trained in and has taught Reading Recovery for a number of years as well as working as a Literacy Support Teacher. In 2012 Karen won the Regional Teaching Award for Young Learners as well as being listed as a finalist for NeITA. Karen works on the Get Reading Right products. Fran works with schools across New South Wales getting them started with Synthetic Phonics and the Get Reading Right program. 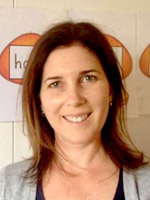 Fran has over 15 years teaching experience in primary schools across Australia, working in all areas of literacy from Class Teacher, Reading Recovery Teacher, ESL Teacher, to Teacher Librarian. After working with children experiencing reading difficulties, Fran discovered Get Reading Right and was blown away by how this explicit and systematic approach helped her students reach their full potential. Fran now works with schools in Sydney infecting them with her enthusiasm for Synthetic Phonics.